Hélène Magnússon - Knitting news from Iceland: New Icelandic Knitting manual? Un nouveau manuel de tricot islandais ? 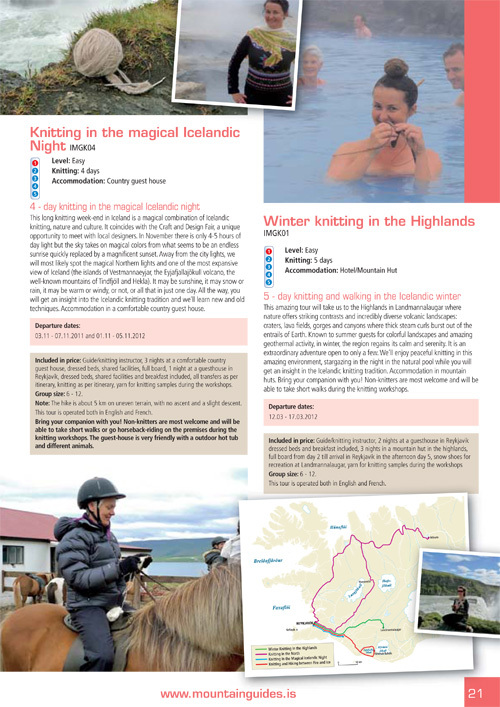 Not at all, it's the last manual from Icelandic Mountain Guides but there is a little something for you knitters on pages 20 and 21! 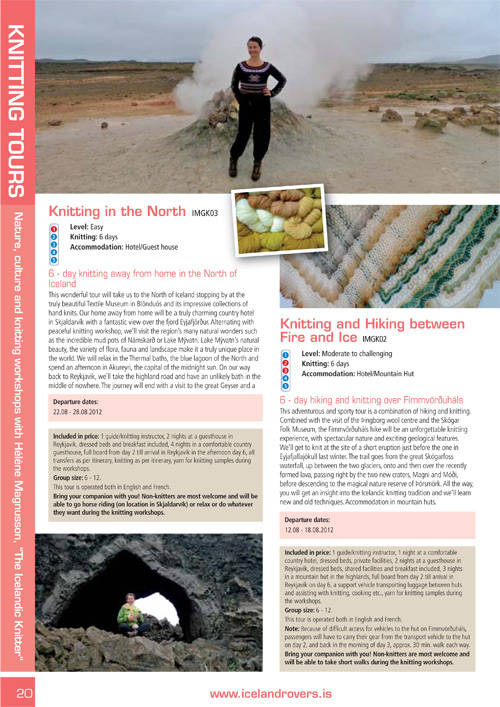 Just wait to see the full and exciting 2012 program of knitting tours to Iceland... I'll talk to you about it after the week-end! 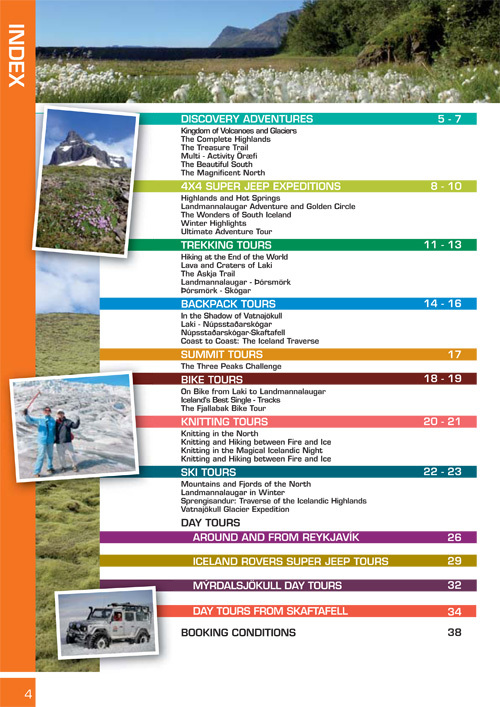 Mais non, le dernier manuel des Guides de montagne islandais et de quoi vous intéresser pages 20 et 21, mais attendez plutôt de voir le programme complet des voyages de tricot en 2012... je vous en parle après le week-end! On a hâte, on a hâte! 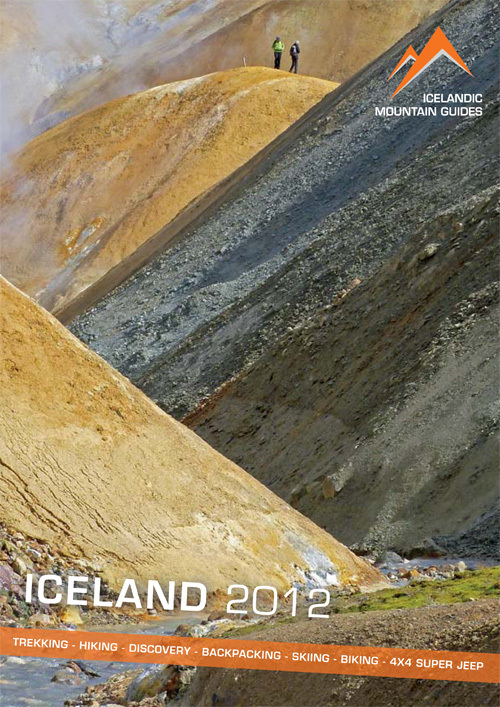 So looking forward to coming to Iceland in one of your tours! But which one? They all look so fantastic! You'll be seeing me again someday! !I'm so proud of you Helene.